Free to members of Harlow & Bishop's Stortford Chamber of Commerce. Mark Prisk MP will.chair a discussion about the benefits of recruiting disabled workers. There will be a chance for questions, both in the meeting and afterwards. Disability Confident is a Government initiative, led by DWP and local MPs. 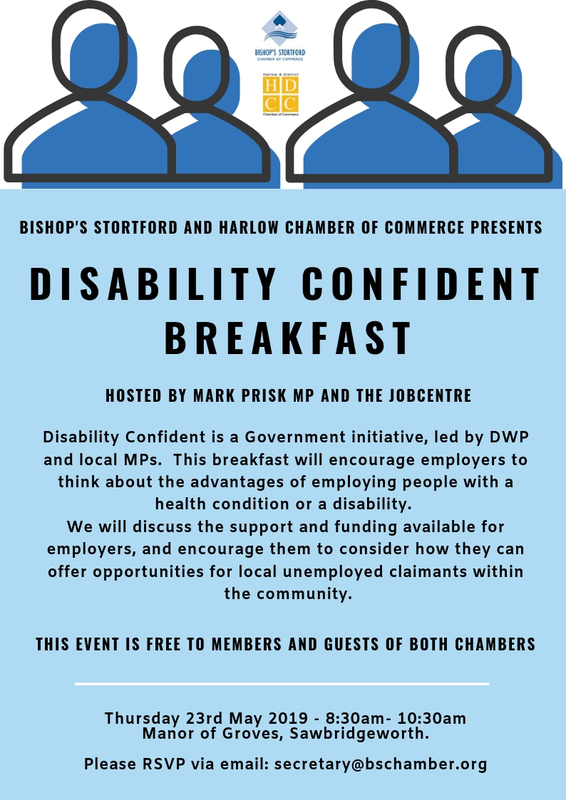 The breakfast is to promote and encourage employers to think about the advantages of employing people with a health condition or disability. We will be talking about the support and funding available for employers, with a hope they will go away and consider what they can do to offer opportunities for local unemployed within the community.